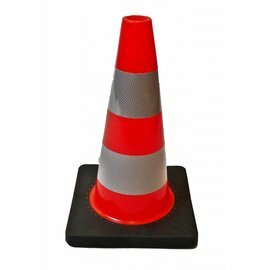 Fully reflective traffic cone that comforms with all national and European standards. Weighted base for increased stability. 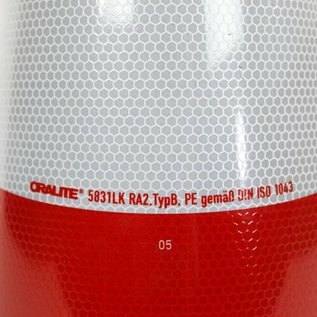 Available from stock. 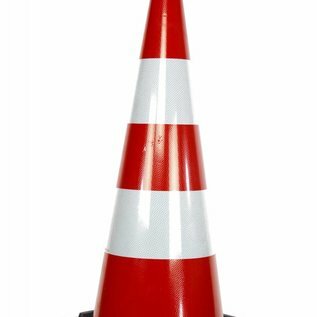 This traffic cone has both white and red reflective markings that ensure optimal visibility day and night. 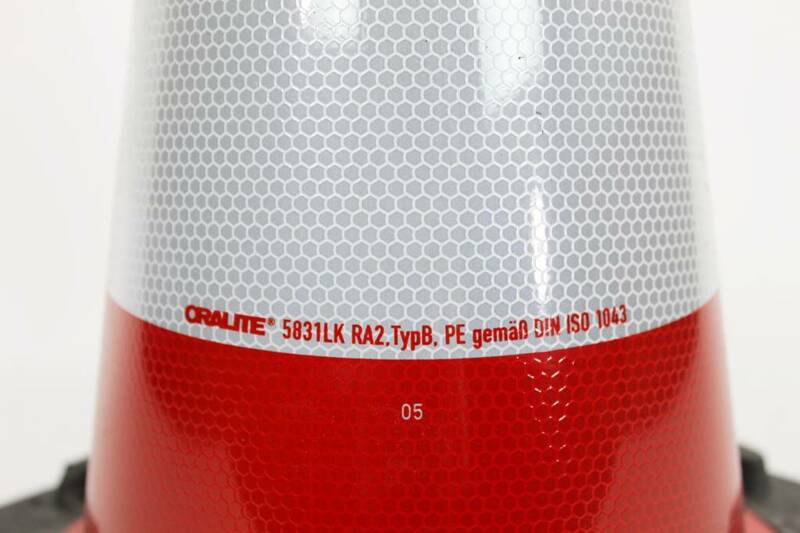 He meets all of the national and European standards, tested by the German Bundesanstalt für Straℑenwesen (BaST). 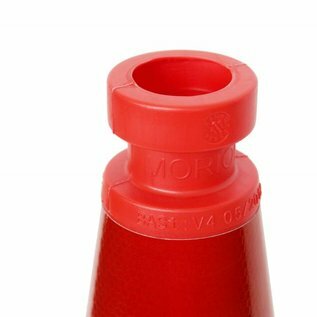 Each traffic cone is therefore provided with the appropriate quality marks on the body, the reflective film and the foot. 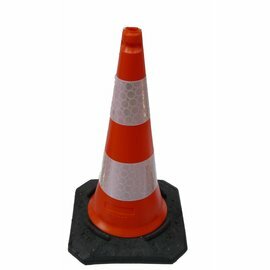 The traffic cone is provided with a class 2 reflective film over the entire height of its body. 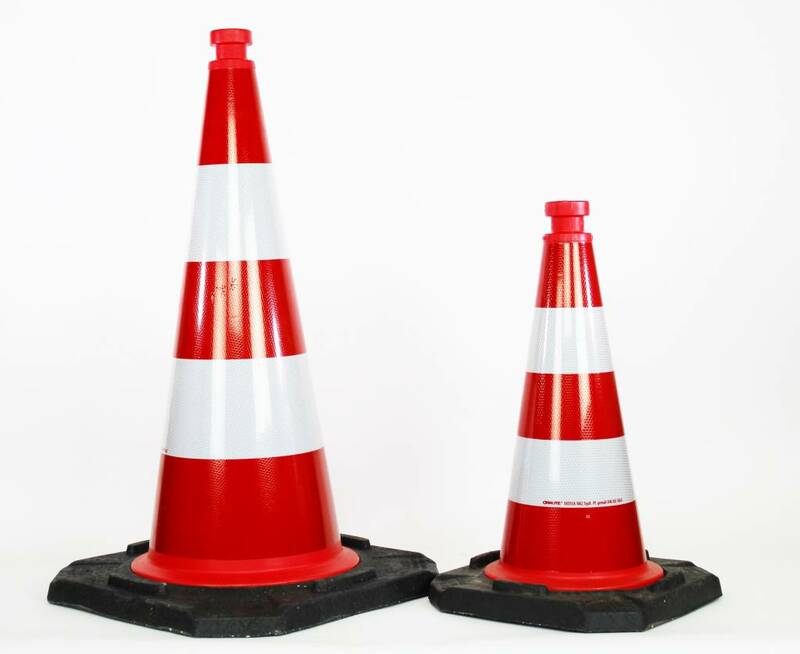 As a result, the cones are clearly visible in the dark and during bad weather conditions, which benefits road safety. The film consists of 3 red and 2 white markings and they form one whole. 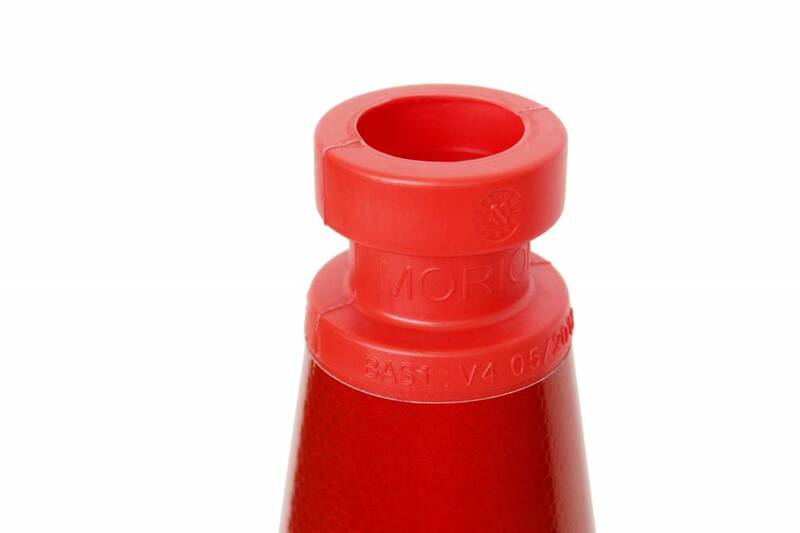 The top of the cone has a handy grip for placing or removing the cone and also forms an anchor point for signalling ribbon. 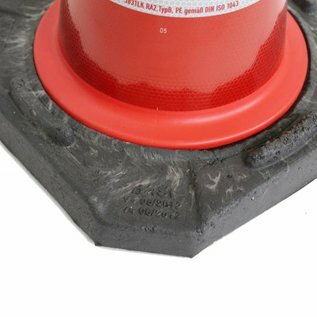 The traffic cone is designed in such a way that when stacking, the surface with the reflective film does not come into contact with the cone underneath and the risk of damage is minimized. 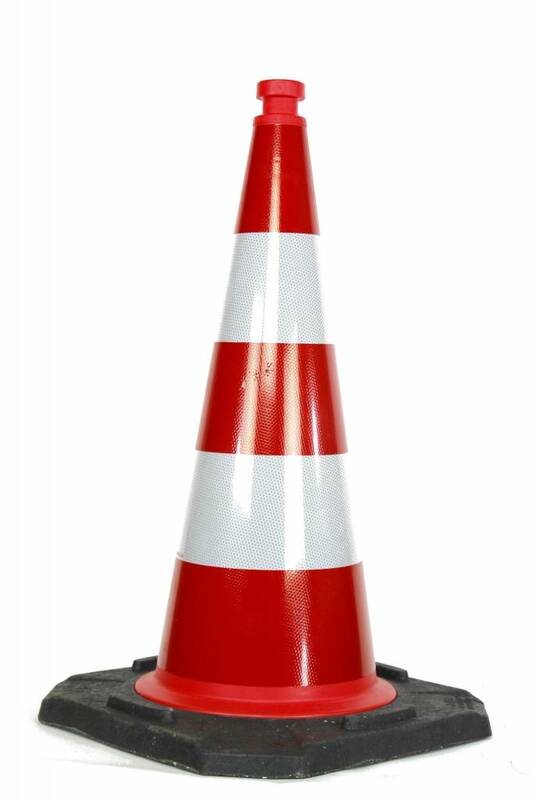 Thanks to the weighted base of recycled PVC, the traffic cone remains stable and can be used perfectly in windy conditions or alongside passing traffic. 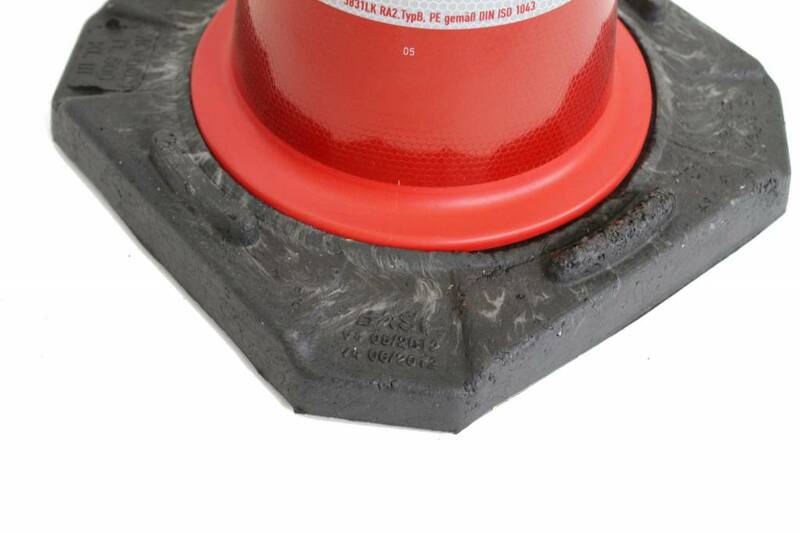 The foot of this traffic cone is provided with an anti-slip profile and is raised so that abundant rain can flow away freely. 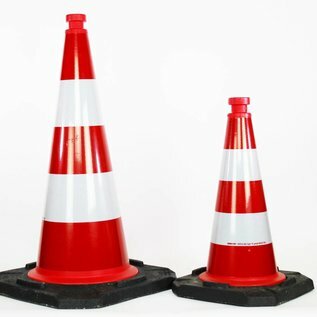 Traffimex offers fully reflective traffic cones in 50 and 75 cm height. 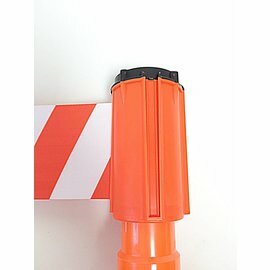 Retractable barrier tape for traffic cones, 3 m x 100 mm Red White.